The Hoffman Murphy Team is known in the South Bay real estate market for many things – including high energy, sincere integrity and client satisfaction – but if asked by their peers, their reputation leans toward their ability to sell homes, and sell them fast. The Hoffman Murphy Team knows the market inside and out, and they are completely honest with their clients when it comes to pricing. Not ones for letting a home sit on the market for weeks and lose value, the Hoffman Murphy Team implements a realistic pricing strategy that works on the basic principal of supply and demand, and generates the highest profit possible into their client’s pocket. In doing so, the Hoffman Murphy Team is now a name synonymous with results. 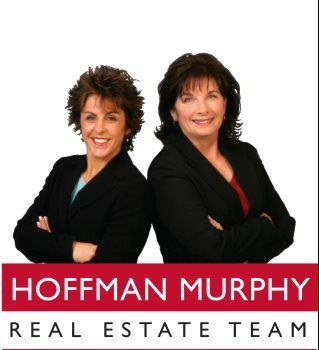 With 50 combined years of Real Estate experience, and over 1600 homes successfully sold, Sue Murphy & Marie Hoffman joined forces in 2005 to create a professional sales experience that sets them apart from the competition. In addition gaining top market dollar for their property, HMT clients can expect world-class service that goes above and beyond the status quo. The team takes pride in their ability to offer a professional experience with a “personal touch.” They work to create a relationship that allows them to better understand their client’s needs and perspective. “Understanding the client’s goals allow us to better focus on what it is that they are trying to achieve, and help them get there,” Hoffman says. Aside from the community praise, The Hoffman Murphy Team stats speak for themselves. With a 100% list to sales price ratio, and an average of less than 15 days on market, their happy client list is long and abundant. Specializing in sales in Redondo and Hermosa Beach, the 7-person team of real estate professionals consistently ranks in the Top 1% of Real Estate Agents in the Nation and as the #1 selling Team at Keller Williams Beach Cities. With their full time listing, marketing and transaction coordinators, all a seller has to do is hand over the key.